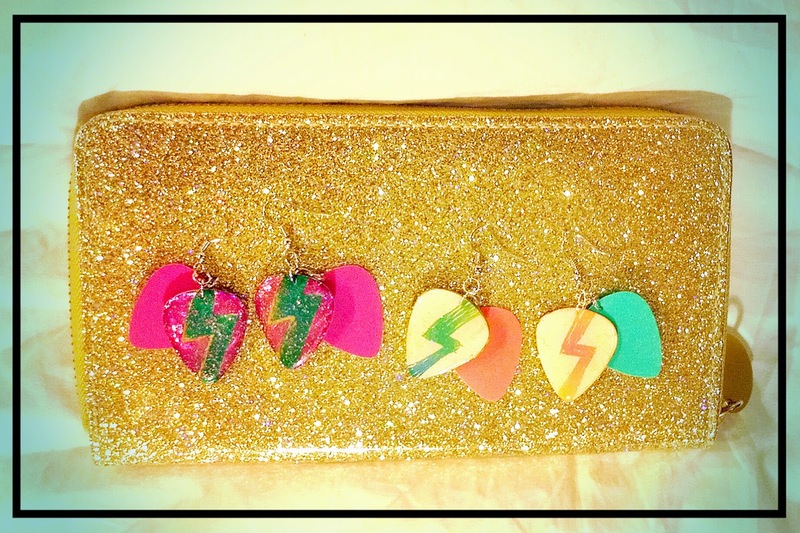 Just finished and photographed: Lightning bolt guitar pick earrings! Five NEW pairs available and they are some of my favorites! 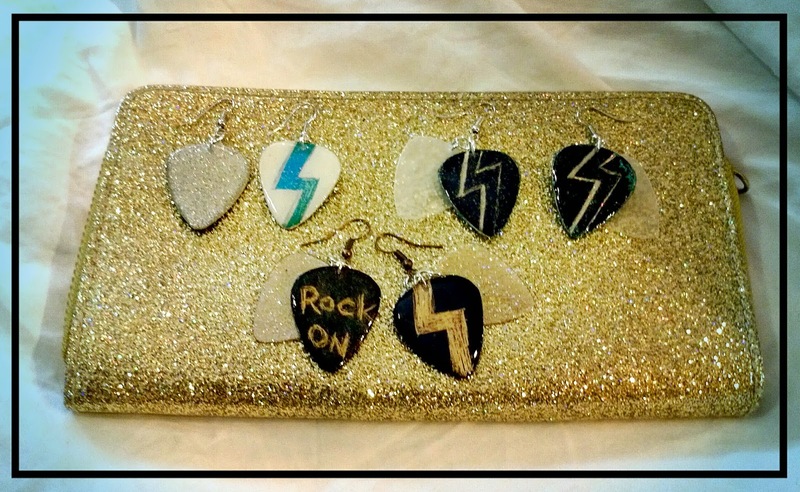 Rock On Lightning Bolt - One pick with "ROCK ON" the other with a blue lightning bolt, silver glitter backside. Drawings on front made from Scratch Magic boards. Silver and Black Lightning Bolts - Silver hand drawn lightning bolts made from Scratch Magic boards. Silver glitter with stars on the backside with a transparent pick on each side. Gold Rock On Lightning Bolt - One pick with "ROCK ON written in gold, the other with a gold lightning bolt, bright green backside with stars. Accented with transparent picks painted with gold and glitter. Pink and Teal Bolts with Music Notes - Holographic pink with teal hand paintd bolts on one side, with pink music notes on silver glitter and pink accents. Accented with a pink guitar pick. Blue and Orange Bolts - Hand drawn lightning bolts from Scratch magic boards. Gold and pink glitter backside with blue and orange guitar picks.